ScienceDirect Freedom Collection now available! We are happy to announce the Libraries now have access to the ScienceDirect Freedom Collection. This means that you should now be able to access the majority of journals available on ScienceDirect from 1995 to present. Notable exceptions are the Clinics of North America and Cell Press journals; most of these excluded journals are available through other Library subscriptions. 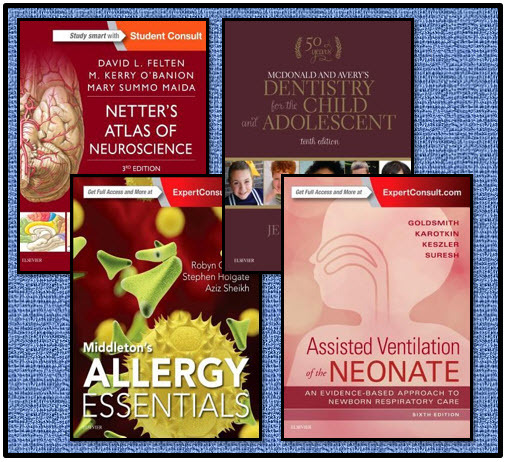 Links to these journals are already available through the E-Journals & E-Books A to Z List and the Discovery/EDS Health search box. We are working on adding them to INNOPAC, the Library catalog and the WebBridge LR link resolver. The biggest change you will see is an increase in the number of journals on ScienceDirect that you can now access through the Libraries’ subscription. Subjects include all of the health sciences, as well as more journals covering materials science and chemistry. Journals that are within our normal scope of subjects will be available through INNOPAC, the Library’s catalog. Journals that are not necessarily within our usual subjects, but that could otherwise be useful to your research, can be found through the E-Journals & E-Books A to Z List, the Discovery/EDS Health search box, and in various databases such as PubMed and Scopus through the WebBridge LR link resolver. We hope you will find the access to these hundreds of new journals of help. If you have any questions about these titles or any other Library services, please contact us. ScienceDirect EBS Collection – Time Is Running Out! 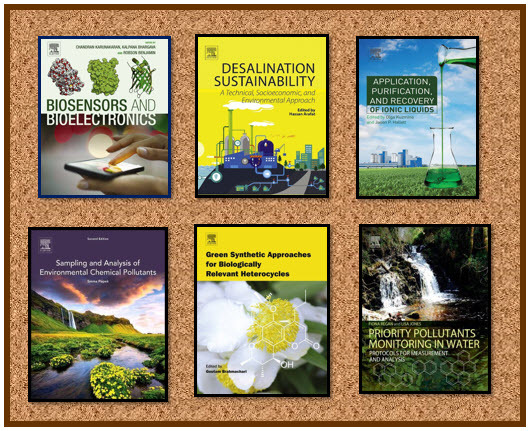 Have you had a chance to explore the special ScienceDirect EBS Collection? 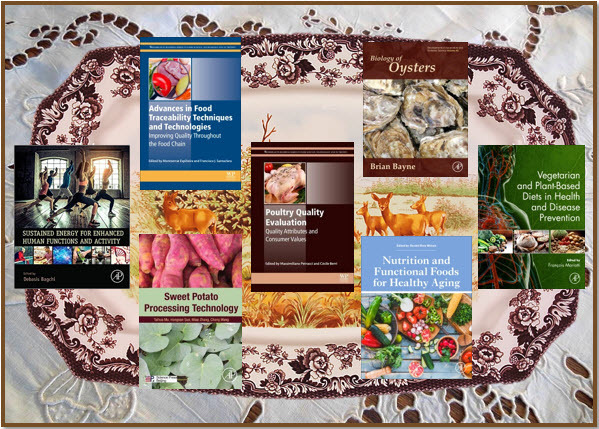 This multi-faceted collection of over 5000 ebooks will only be available until the end of June, so what are you waiting for? The topics covered in this exciting group of texts range from earth sciences to psychiatry, computer science to dentistry, farming to pharmacology, engineering to surgery, criminology to physical therapy. There are books on advances in data analytics, mathematics, genetics, pediatrics, geriatrics, forensics, diagnostics, and analgesics. You will find current editions by some familiar authors, as well as some possibly more obscure texts by new, cutting-edge researchers, with publication dates ranging from 2013 to the present. We have just 3 months left to explore all the possibilities offered by this collection. At the end of June, most of these ebooks will disappear. Only the most used items will be added to our permanent ebook collection. So take this opportunity to make your voice heard. Explore the various categories and find that hidden gem. Click now! There’s no time to lose! Parlez vous francais? Sprechen sie Deutsch? If you can understand those questions and can answer yes, then you may want to explore our last-but-not-least groups from the ScienceDirect EBS Collection. 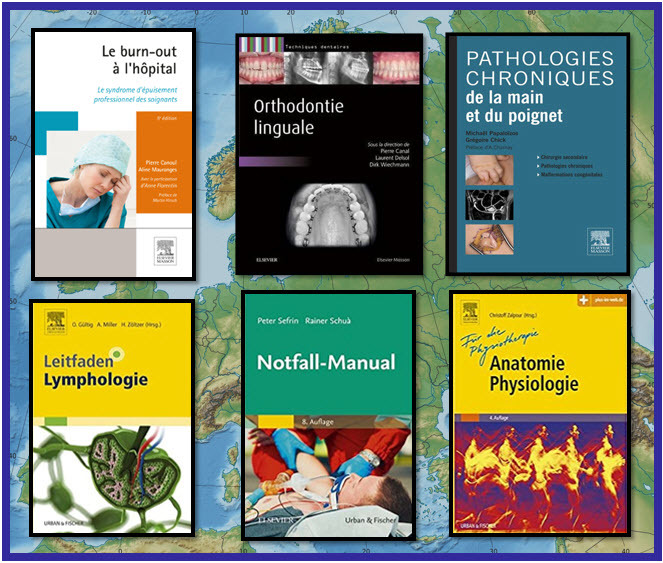 The French Health Sciences category contains an array of medical topics, all in French. You will find ebooks on physical therapy, anesthesia, cardiology, and more specialties, which will offer you a chance to hone your language skills while you glean knowledge about your chosen subject. The same can be said of the category German Medical. There seem to be quite a few books on orthopedics and psychiatry. I’m just guessing though because I speak neither French nor German. At any rate, you might want to take these categories for a spin and test your language skills. This concludes the weekly spotlight on the ScienceDirect EBS Collection. 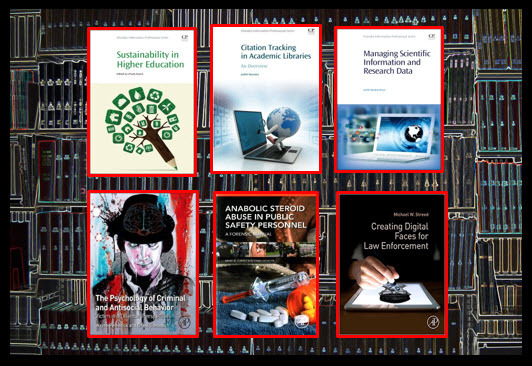 This varied group of ebooks will be available until June of this year. At that time, we will be reviewing the usage of the collection and keeping the most used texts. This is your opportunity to let us know what you want and need to be able to access. By viewing a book you are voting for it. And if there is a particular ebook in the collection you feel strongly about, let us know. We appreciate your input about these ScienceDirect offerings! 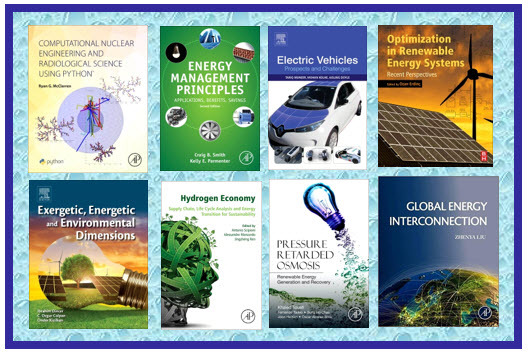 This week we are highlighting the Energy category of the ScienceDirect EBS Collection. At first glance there doesn’t seem to be too much of interest that would be applicable to our field here at LSUHSC. But there are some gems that might interest the eco-minded researcher and chemist. There are a wealth of ebooks on the subject of renewable energy, and some of the texts examining research in the petrochemical field may have health-related implications here in our neck of the woods. So don’t write this category off. You may find just what you need for that last piece of the puzzle. Please take some time to review all of the categories in this valuable collection. We will only have this opportunity until the end of June. Then most of these selections will be disappearing. After the review period, we will only be retaining those texts that receive the most hits. As we wind down our exploration of the ScienceDirect EBS Collection, we are exploring the category of Neuroscience. This group is especially interesting. 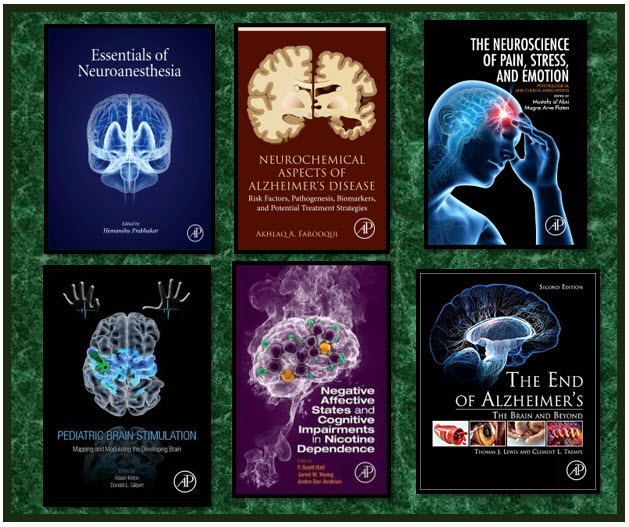 The ebooks here cover a wide range of applications in the neurosciences field. Subjects range from Alzheimer’s and pain management to stress and substance abuse. Researchers involved in the field of Geriatrics might want to review Nutritional Modulators of Pain in the Aging Population, edited by Ronald Ross Watson and Sherma Zibadi, or Physical Activity and the Aging Brain, edited by Ronald Ross Watson. Substance abuse researchers might be interested in The Complex Connection Between Cannabis and Schizophrenia, edited by Michael T. Compton, or The Neuroscience of Cocaine, edited by Victor R. Preedy. Dealing with stress (and who isn’t these days)? You might want to check out Stress: Concepts, Cognition, Emotion, and Behavior, edited by George Fink, or Neuroscience of Pain, Stress, and Emotion, edited by Magne Arve Flaten and Mustafa al’Absi. As you can see, this category has it all. Take it for a spin and see if you can’t find something that is relevant to your particular interests. But don’t wait too long. These ebooks will only be available until the end of June. After that, only the most viewed selections will be added to our permanent ebook collection. As tax time approaches, thoughts turn to the complexities of finance and mathematics. Or maybe not. At any rate, this week will focus on two related categories of the ScienceDirect EBS Collection. The Finance group of ebooks contains a selection of books relating to funding for research in pharmaceuticals and health services. If you are considering expanding your horizons in 2018, you might want to take a look at Global Mobility of Research Scientists: The Economics of Who Goes Where and Why. And – heads up biostatistics people! – the Mathematics category may be of particular interest to you. There are several tomes on statistics and data mining, as well as texts relating to mathematical applications in simulation modeling. So give these categories some of your attention. This special collection is available until the end of June. After that, only the most viewed books will be added to our permanent ebook collection. Your participation is critical to our selection process. This week we are highlighting two categories from the ScienceDirect EBS Collection. 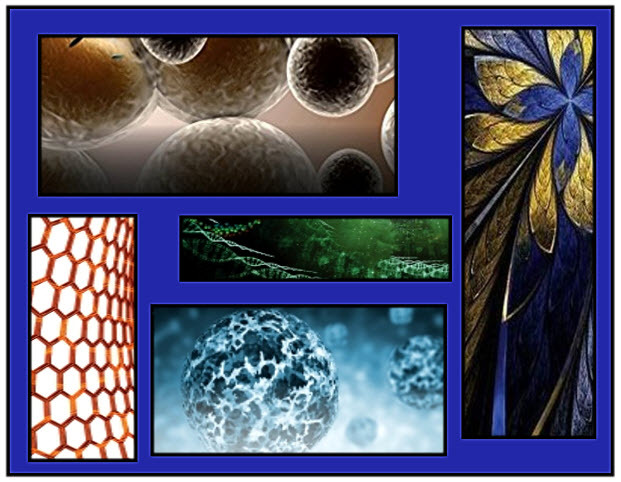 Engineering and Materials Science are related categories encompassing the biomedical and chemical fields. Amongst the tomes on asphalt, aircraft, and bridge construction in the Engineering group, you will find such ebooks as Healthcare Technology Management Systems, Mechanical Circulatory & Respiratory Support, and Mechanical Testing of Orthopaedic Implants. You might also want to check out the multi-dimensional selections such as 3D Bioprinting & Nanotechnology in Tissue Engineering and Regenerative Medicine. Nanomedicine, nanotechnology, and tissue engineering are also on display in the Materials Science category. There are several texts relating to chemical engineering developments and you might want to review Antimicrobial Nanoarchitectonics: From Synthesis to Applications, which brings together research in antimicrobial nanoparticles, especially in reducing the side effects of antibiotics, decreasing their pharmacological effect, and improving the solubility and stability of antimicrobials. So please take some time to explore the offerings in these two groups. Your participation is important as most of the ebooks in this package will be disappearing at the end of June 2018. Only the books with the most usage will be added to our permanent electronic collection. Though small in stature, the force is strong with this week’s spotlighted group. 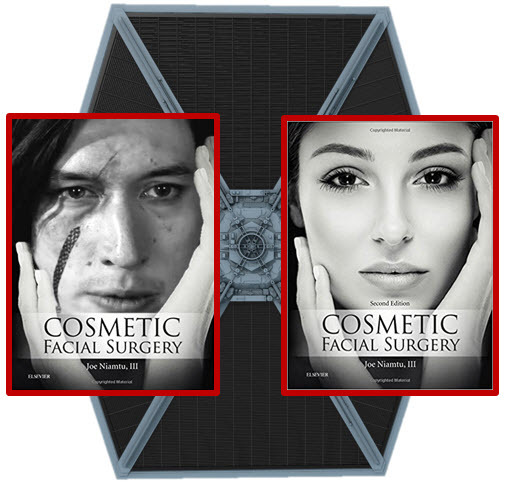 You might even say that Specialty Surgery is the Yoda of the ScienceDirect EBS Collection. Or not. This category primarily covers cosmetic and orthopedic surgery. All twelve of the ebooks in this group were published this year and, you will excuse the pun, are cutting edge. Sorry. We will have access to this collection through June of 2018. After that, we will only be retaining the texts that are most viewed. So please take a moment to explore this and any other category of the collection. This week’s examination of the ScienceDirect EBS Collection is focused on the Veterinary Medicine category so I thought I’d let my cat, Katana Lee, draw your attention to some of the exciting titles available for your review. There seems to be a great many titles devoted to equine medicine, but there are also some gems. If you have decided to raise llamas or alpacas post medical career, you might want to read Llama and Alpaca Care by Chris Cebra, et al. 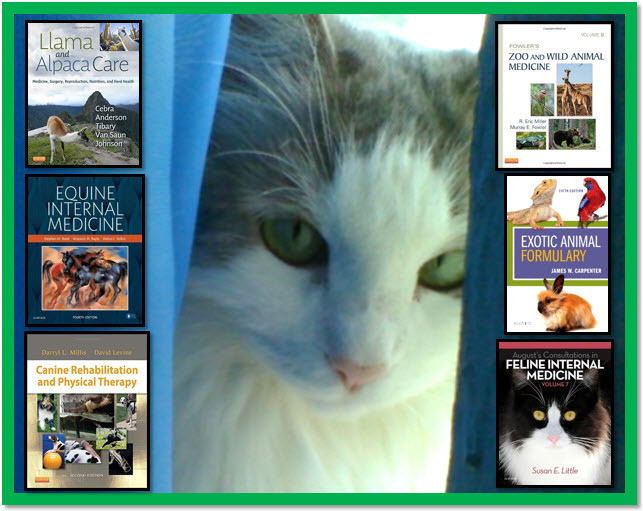 If herding cats is more your speed, there are a variety of books on feline care and diseases. You could study the books on canine care over the Christmas break to prepare for health issues with your furry best friend or in anticipation of a second career in wolf rehabilitation and management. Or perhaps the lure of the Old West is calling you to buy a ranch and raise cattle or horses. Then this is the category for you. Whatever your reason, please take a moment to explore selection. This special collection of ebooks will only be available until the end of June 2018. After that most will disappear and only those that receive the most use will be added to our permanent ScienceDirect database. This week we want to explore two categories of the ScienceDirect EBS Collection. Many of the ebooks in these categories relate to the impact technology has had and continues to have on our society. The Social Sciences category includes the topics of Higher Education, Library Science, and Research. If you’re interested in how academic libraries have been impacted and have evolved in the digital age, there is a wealth of information in this category. You can also read about digital applications for research and higher education. In Forensics, Security, and Criminal Justice you will uncover some interesting texts. If you are thinking about penning a medical thriller, you might want to examine the offerings of this category. Here you will discover everything from the psychology of criminal behavior to crime scene analysis. Investigate the advances of technology on the field of law enforcement and hospital and healthcare security. There’s even a book on polygraph fundamentals. Please take some time to examine these categories. And remember, we will only have access to all of these titles until the end of June 2018. Then many of them will disappear and only the most used will remain. As we celebrate Thanksgiving this week, what better time to invite you to explore the Agricultural, Biological and Food Sciences category of the ScienceDirect EBS Collection. This category covers a broad spectrum of texts related to the health and production of our food supply. Before you dive into your Mimi’s oyster dressing, you might want to read Biology of Oysters. In fact, there are several ebooks about marine life in this category as well as advances in animal welfare and meat production. You might want to feast on a selection of topics to prepare for the conversational aspects of any social commitments. A good sampling might include: Advances in Cattle Welfare, Advances in Pig Welfare, Advances in Poultry Welfare, and Advances in Sheep Welfare. And after all that, you will probably want to switch to a vegetarian diet and just stick to the sides on the big day. Dig in to Vegetarian and Plant-Based Diets in Health and Disease Prevention. When dealing with the leftovers, you can find answers to the question of food safety in this category. For those of you experiencing the joys of big family gatherings, there are several selections on wine production and wine tasting. And if you feel you have overindulged there are even a few books about exercise to help you get motivated. So if family togetherness starts to wear thin and you’re just not into football or dog shows, settle in and gobble up the mouth-watering offerings of ScienceDirect EBS Collection. You may find just what you need to make it through the holidays or the semester. Happy Thanksgiving! This week our exploration of the ScienceDirect EBS Collection takes us to the Health Professions category. In this category you will find a variety of ebooks covering the disciplines of Dentistry, Maxillofacial Surgery, and Physical Therapy. You will find the latest edition of Sedation by Stanley F. Malamed and the 4th edition of Assisted Technologies by Albert Cook and Janice Polgar. 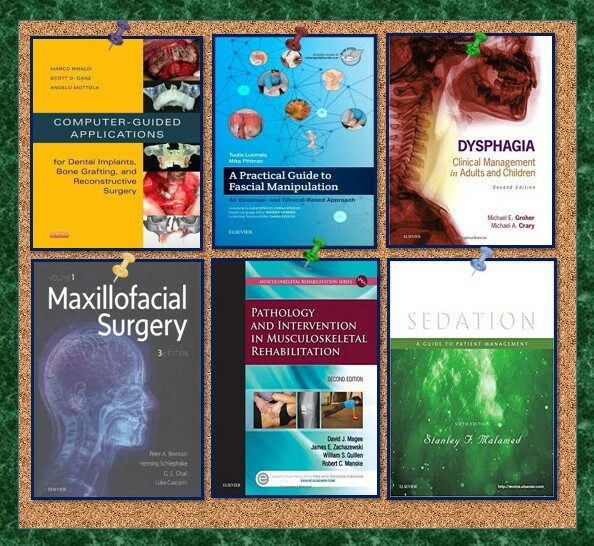 There are several new books on oral surgery and drug therapy. If Physical Therapy is your thing, check out several selections on rehabilitation found in this group. As with all of the categories in this collection, the publication dates range from 2013 to the present. New books have been added to the 2017 list as they were published and as may any others which are published before the end of the year. The complete collection will be available until the end of June 2018. At that time, we will be adding the most used items to our permanent ebook collection. Have you had an opportunity to check out the ScienceDirect EBS Collection yet? 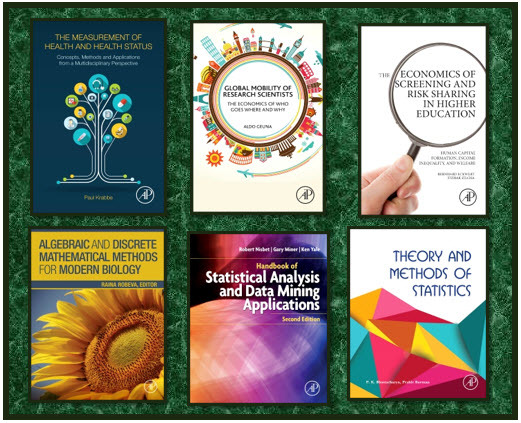 This varied collection of over 5000 ebooks will only be available until the end of June 2018. And there is so much to explore! This week we are highlighting two related categories from the collection: Chemical Engineering and Chemistry. In the Chemistry category you will find full text ebooks relating to – surprise! – Chemistry. Check out the advances in mathematical chemistry and asymmetric autocatalysis. You can explore NMR spectroscopy, liquid chromatography, and natural products chemistry. In addition to a series of ebooks about current developments in biotechnology and bioengineering, the Chemical Engineering category covers chemical hazards, biopharmaceutical processing, and polyurethane polymers. There are texts on cosmetics and data analysis in chemical engineering. So, if you haven’t explored this collection yet, please take a moment to check it out. Your participation is important to us. We will have access to all of these ebooks until the end of June. After that, only the most used ebooks will be added to our permanent electronic collection. So let us know what’s important to you by checking out the categories and clicking open some books. This week we are highlighting the Pharmacology, Toxicology and Pharmaceutical Science category of the new ScienceDirect electronic books collection. With all of the recent news about the new, more effective Shingles vaccine and the opioid epidemic, this group of books seems especially relevant. Under this subject you will find a variety of titles dealing with drug research in the fields of cancer, holistic medicine, and aging. There are texts relating to the advances in nanotechnology and the biotech industry. This category also offers information on drug interactions and research on the adverse effects of toxic materials in our environment. Please take some time to review this addictive collection. These ebooks will only be available until the end of June 2018. After that, we will only be keeping the most used texts so your participation is important. Let us know what you think is relevant by checking them out. In this week’s exploration of the new ScienceDirect EBS Collection, we are spotlighting a category that should be of great interest to the LSUHSC community. Biochemistry, Genetics, and Molecular Biology is an offering of ebooks that contains topics some might consider essential to our mission. 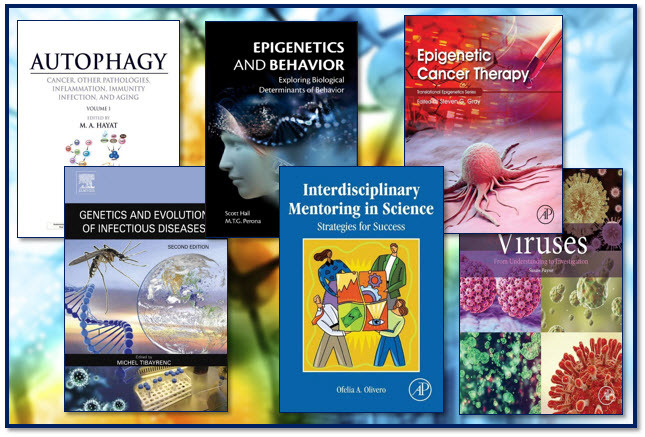 There are books on stem cells, tissue engineering, nutrition, and infectious diseases. There are several texts about epigenetics and its various applications, including cancer therapy and behavioral research. If you’re looking for something new on animal models and the care of laboratory animals, it’s in here. There are also books on professional development in this field you might want to explore. The ScienceDirect EBS Collection provides full-text access to hundreds of books across a wide spectrum of disciplines. We are excited about this opportunity to review new and relevant books, some of which aren’t even available in print, with the possibility of adding them to our permanent electronic book collection. For the next seven months, you can browse and review books in your field of interest that you might not be able to explore elsewhere. And, at the end of the review period, we will be adding those books which receive the most hits. So please take some time to delve into this collection. Maybe you will find the perfect book – or books! – for your research needs.